The gauge display to the left with Low & High alarms and data output. 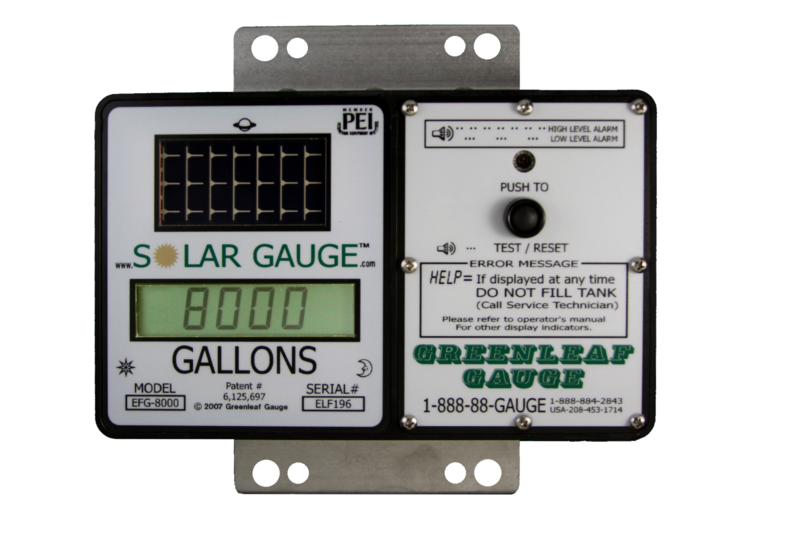 Solar powered gauge and alarm with customer replaceable backup battery. Six digit LCD display monitors tanks up to 99,990 units - gallons, liters, inches or %. 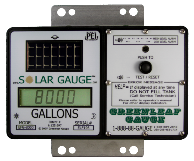 Gauge console can be mounted in any location to best suit operator's needs.